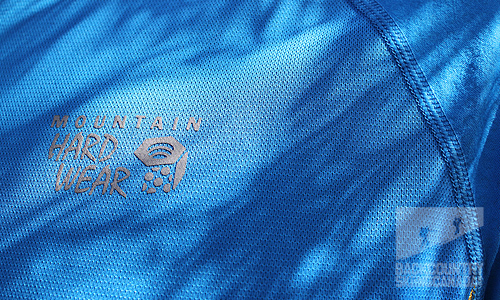 Mountain Hardwear is a brand that has long been associated with high-end, technical apparel designed for mountain adventures such as hiking, camping, climbing, mountaineering and, of course, skiing. You may not want to look like a mountain guide 24/7. Perhaps you’re looking for some functional apparel that can do double duty on the trail and in town, say walking your dog or sipping a latté at the local coffee shop. This is where the - Loafer 2 Pants, Wicked Cool Tee, Drummond Shirt and Ghost Lite Jacket come in, specifically the Loafer 2 Pants and Drummond Shirt. These two items are made for looking good in town while still being capable to travel ‘wherever’ in an instant and provide comfort with some light activity thrown in for good measure. 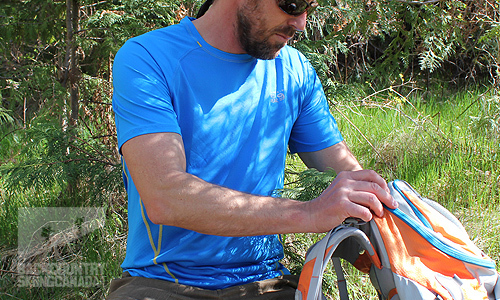 The Mountain Hardwear Wicked Cool Tee and Ghost Lite Jacket are slightly more technical and ideal for summer activities in variable weather conditions like hot sunny days, wind and more of the unknown. 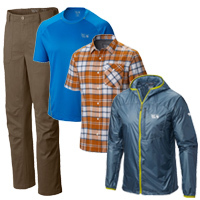 Running, biking and hiking are the adventures of choice for these two pieces, combine them with the Loafer 2 Pants and Drummond Shirt and you’ve got a base to outer layer system that can take you from trail to patio all in one day. Let’s have a closer look at each shall we? 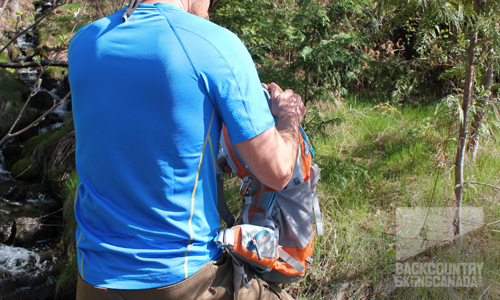 The Mountain Hardwear Wicked Cool T uses stretch side panels to improve mobility and Cool.Q ZERO fabric to keep you cool when exerting yourself. 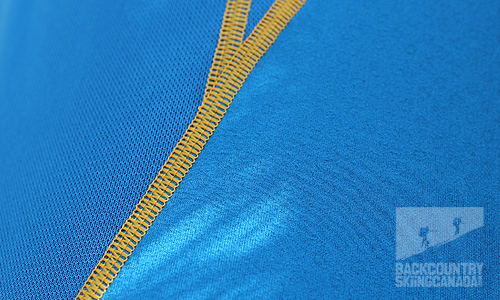 Combined with flat lock seams and mesh polyester to help wick moisture and keep you cool, this T is truly ‘wicked’. 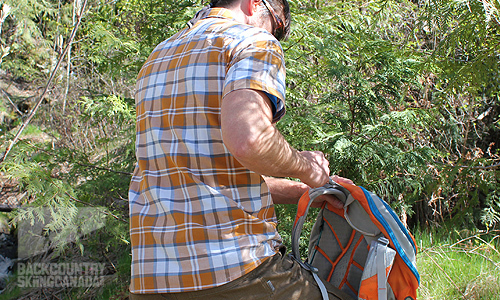 - Flatlock seam construction eliminates chafe under pack straps. - Reflective trim for visibility. - Mesh ventilation on front to help further lower your temperature. - Stitched-in stretch side and shoulder panels for extra comfort and mobility. This is a sweat-activated cooling technology that appears as little donut shaped circles on the inside of the fabric. These diminutive dots position an active cooling agent next to your skin that reacts with your sweat to lower the temperature of the fabric and accelerate wicking. This produces an instant cooling effect that you can actually feel. 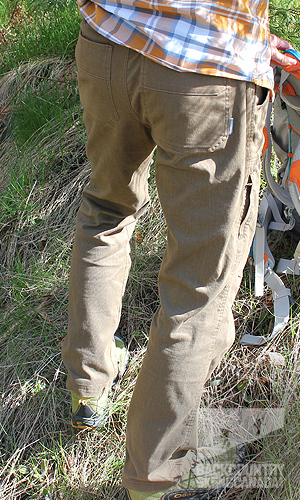 While the Mountain Hardwear Loafer 2 Pant performs well on the trail, it looks and feels so good that you’ll likely want to just wear it everyday around town. It has a very soft fabric that feels great to the touch and next to your skin. Articulated knees and stretch fabric provide ample range of motion for any activity while the five pockets provide plenty of space for small items. You can even keep more valuable items secured in the zippered thigh pocket. - Cotton-poly-spandex blend is packable and easy to wash and wear. - Two back pockets, two front pockets and a zippered thigh pocket for your valuables. 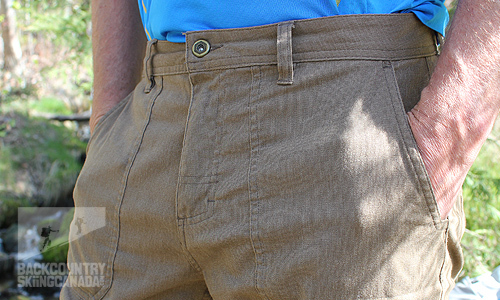 - Extra-wide, soft waistband keeps you comfortable. 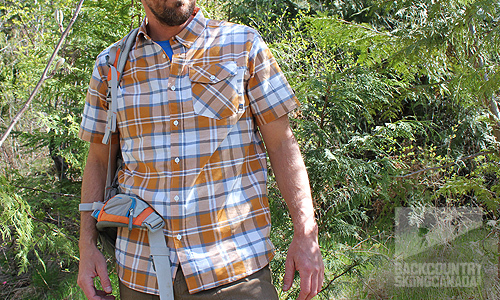 The Mountain Hardwear Drummond Shirt is a combination of cotton and polyester to provide wrinkle resistance with quick drying properties. 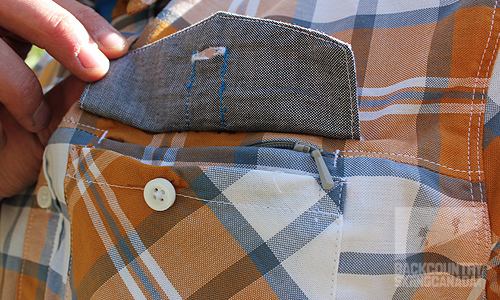 This enables the Drummond shirt to go from trail to town, technical capabilities with good looks and comfort. The chest pocket contains a hidden zippered pocket for added security for your valuables. 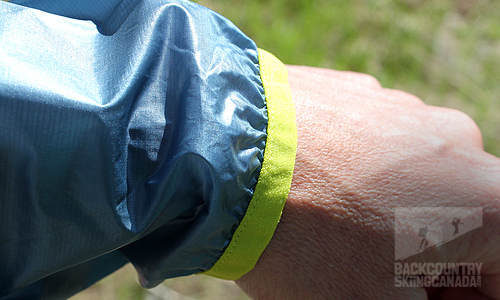 - Lightweight, wrinkle-resistant and quick-drying. - Feels like cotton but has the performance benefits of polyester. - Hidden zippered chest pocket offers extra security for valuables. - Classic plaid pattern in a timeless silhouette. 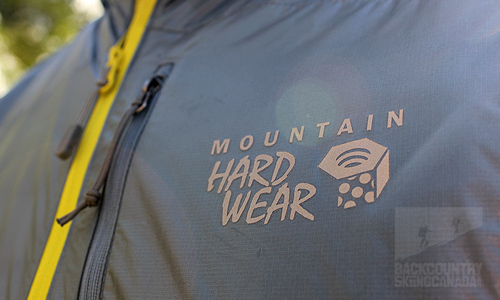 Light weight packability is the name of the game with the Mountain Hardwear Ghost Lite Jacket. It provides protection from wind and light rain while weighing practically nothing and compacting down into its own chest pocket. Ideal for hikes in the mountain, rides on the road or any other activity where you may need some instant protection and warmth from the wind. - 15D face fabric is water and wind resistant. 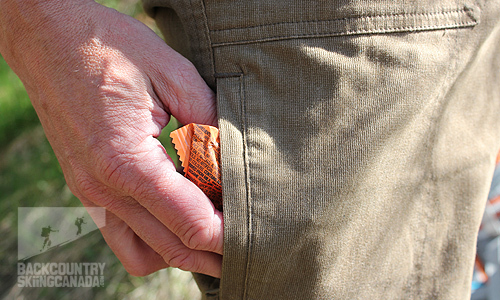 - Compresses down and stows in its own pocket for unbeatable packability. - Single zippered chest pocket securely holds keys, ID, and other valuables. - Hood stow system at back collar. - Low profile hood has elastic binding to seal out cold and moisture. - Body Fabric: 15D Ripstop Z-Grav. Of the four Mountain Hardwear pieces discussed above it’s hard to pick a favourite as each has its own stand out features. For starters the Loafer 2 Pants are very comfortable, soft to the touch and flexible to accommodate almost all activities which demand excessive range of motion. 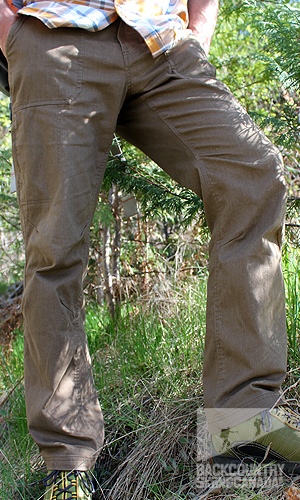 They have plenty of pockets, articulated knees and best of all can be worn on and off the trail. The Drummond Shirt is an ideal companion to the Loafer 2 Pants, especially the Desert Gold colour style. The fit, is again spot on and the fabric is durable and rugged so you can throw some abuse at it. The single chest pocket is not my favourite from a styling perspective but I do like the hidden zippered pocket for storing valuables. The Wicked Cool T is more of a technical piece but layers well under the Drummond Shirt and provides good moisture wicking while keeping you cool with its Cool.Q ZERO technology. I was skeptical of this too-good-to-be-true claim but after wearing the Wicked Cool T on several hot, high intensity cardio days it was immediately evident that the name of this T-shirt is warranted. Finally there is the Ghost Lite Jacket. It shares the same light weight mandate as the Mountain Hardwear Ghost Whisperer Down Jacket which I have been wearing for the past winter season, however the Ghost Lite Jacket has no down insulation and is über light at a mere 87 grams. While it’s not water proof it will shed a light rain and buffs off even the strongest of winds. The best feature of the Ghost Lite Jacket, besides its good looks, is its packability. 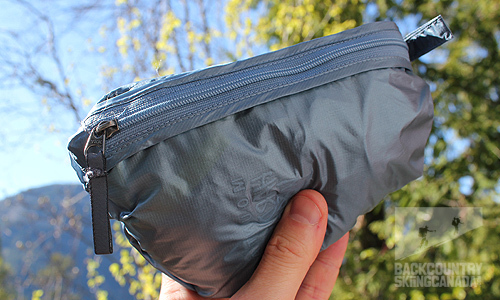 It stores away in its own chest pocket so it’s super easy to toss it in a daypack for one of those “just in case” moments. I have been rockin’ the Mountain Hardwear Loafer 2 Pants and Drummond Shirt for the past few months all over town at various social outings, work and even the occasional light hike. They’re able to tackle both the city and mountain environments but I find I wear them most in town, as they just look and feel great. The Wicked Cool T and the Ghost Lite Jacket while functional in town do have more of a technical appearance so I have been wearing these mostly for day hikes and the weekly road rides. The Ghost Lite Jacket comes in very handy on the cold morning starts but is quickly shed as the temps rise and that’s when the Wicked Cool T comes into play and keeps me less sweaty than any of my other wicking T’s, thanks in part to the Cool.Q ZERO technology. - Loafer 2 Pants are very soft to the touch, comfortable and sized right. - Wicked Cool T’s Cool.Q ZERO technology actually does work to keep you cooler than other fabrics. - Drummond Shirt has a nice rugged fabric that stands up to abrasions and the hidden zippered pocket is ideal for hiding small items. 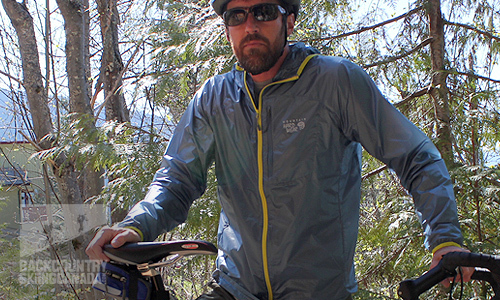 - Ghost Lite Jacket is incredibly light and compact and easy to take anywhere. - Wicked Cool T is very tight fitting, I am typically a medium and it fit snug under the arms. - Drummond Shirt pocket styling is not my thing.